Looking for menu cover accessories to update, protect, expand or just maintain your menu holders MenusPlus has what you need. Accessories for Restaurant Menu Covers including menu clips, page protectors, menu elastics, cafe pockets with tabs, screw posts and chip board. Also available Add-A-Page inserts and Cafe Pockets with tabs. 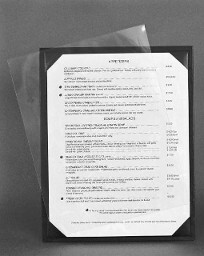 Our clear or matte menu protectors are 9 mil heavy gauge sheets that slip into your menu cover corner catches. They are completely washable and will not transfer laser printing from your menus. • Please specify Clear or Matte finish. • Custom sizes available: consult with customer service for pricing. Our chipboard stiffeners are 20 point thick sheets that slip into your Classic Cafe or Classic Clear menu covers to help minimize the flexing of your menu covers. Helpful Hint: Glue the leading edge of the chipboard with removable glue. Attach the leading edge of the menu inserts on both sides. 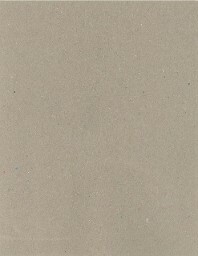 Bend the chipboard slightly and insert it into the menu pockets with the menu inserts attached. The best glue stick for this is Averys’ “Removable Glue Stick“. Page protectors are made using our own heavy 6 gauge vinyl. We offer full pages and half pages in the 11 and 14 inch sizes. • The 11 and 14 inch are available in a standard 3 hole and 4 hole style. NOTE: If you are looking for a special size page protector we have many more available, contact us with the insert size you desire to request a quote. Aluminum screw posts are used to hold the pages in a screw post channel wine book. They are sold in bags of 25 sets, and are available in 1/4″, 3/8″ or 1/2″. Other sizes available by special order. • 1/4″, 3/8 or 1/2 inch: Please specify when ordering. • Additional Sizes Available: Consult customer service.